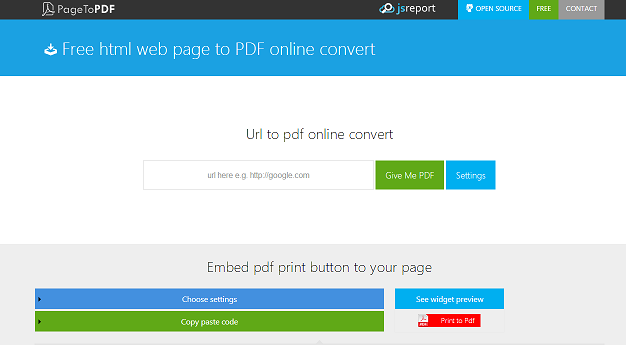 jsreport brings power to create any pdf report you can think of. But with the power comes always responsibility (in this case complexity). Some people just want to convert their html web site to pdf and that is all. They just need to convert url of the website to pdf or embed a button directly to the page that will print it into pdf. For this kind of simple use case we are introducing new service running on top of jsreport. It is available at pagetopdf.com. Go ahead and check it out.